Windows 10 version 1511 is here, the first major update to Windows 10 since release in the summer. 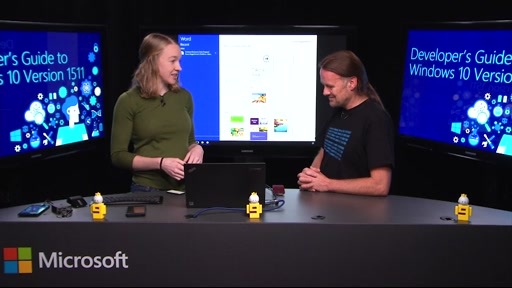 And it brings a number of exciting new features, such as the release of Windows 10 for Mobile, bringing Windows 10 to phone devices, including new phones supporting the amazing Continuum for Mobile where your phone can run apps on a connected screen such as a TV or monitor, and you can connect up a mouse and keyboard to give a PC-like computing experience all from your phone! There is also Microsoft Passport and Windows Hello, replacing passwords for logon with biometrics such as face, iris or fingerprint recognition. 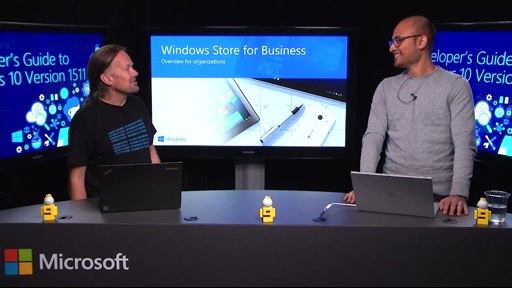 And for enterprises, there's also the release of the Windows Store for Business, a great new way to distribute apps to your company users. For developers, there's a new SDK, Version 10586 which comes as a part of Visual Studio 2015 Update 1. 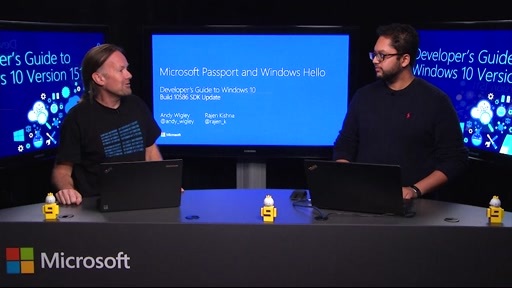 Using the updated SDK and tools, you can build apps to take advantage of these new Windows 10 features. 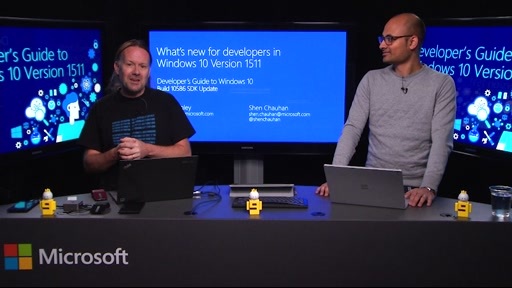 Join developer experts Andy Wigley, Shen Chauhan and others from Windows engineering as they give you a half day whirl-wind tour of the new features for developers in Windows 10 version 1511, the 10586 SDK and Visual Studio 2015 Update 1. 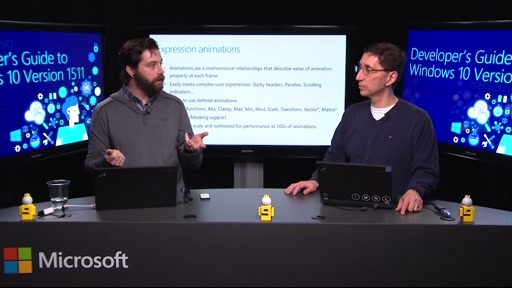 These sessions are a supplement to the existing Developers' Guide to Windows 10 videos where Andy and Shen give you everything you need to know in order to build compelling application experiences on Windows 10.